doesn’t mean the supplement is safe for you. A sports dietitian with experience can determine if a supplement is safe for you. They will take your medical history, medications, health status, diet, training and other factors into account. It is also a good idea to double check supplement ingredient and drug interactions with your pharmacist. No testing company tests for all substances banned by MLB or WADA (World Anti-doping agency). Check out the WADA list by clicking here. No certification program covers all banned substances for any sporting group. Why not? None of these lists are finite – they are always changing. Almost all sporting bodies (MLB, WADA, NFL etc.) include language that drugs with ‘similar biological effect or similar chemical structure’ or ‘including but not limited to the examples below’ are banned. These means drugs not listed may be banned. MLB says the list is a ‘non-exhaustive list’. At this time, testing companies such as NSF, BSCG, Informed Choice and Aegis Shield fall short on testing for peptide hormones on the MLB list. The digestive track breaks down these drugs (such as HGH or IGF-1) when taken orally, rendering them useless. So they will not likely have an effect if added to a supplement and taken orally (though they will if injected). MLB would like 3rd party testing companies to add peptide hormones to their tests. NSF and BSCG test for some though not all SARMs (selectiveandrogen receptor modulators). SARMs are tissue-selective (designed to decrease the progression of sarcopenia, the slow progressive decline in muscle mass and strength that occurs with age starting when a person is in their 40s or 50s). No testing company ensures a product meets 100% of its label claim (this isn’t a FDA requirement). For instance, a supplement may say it contains 20 grams of protein. However, it may actually contain 16 grams (or less because no testing company takes amino spiking / nitrogen spiking into account). 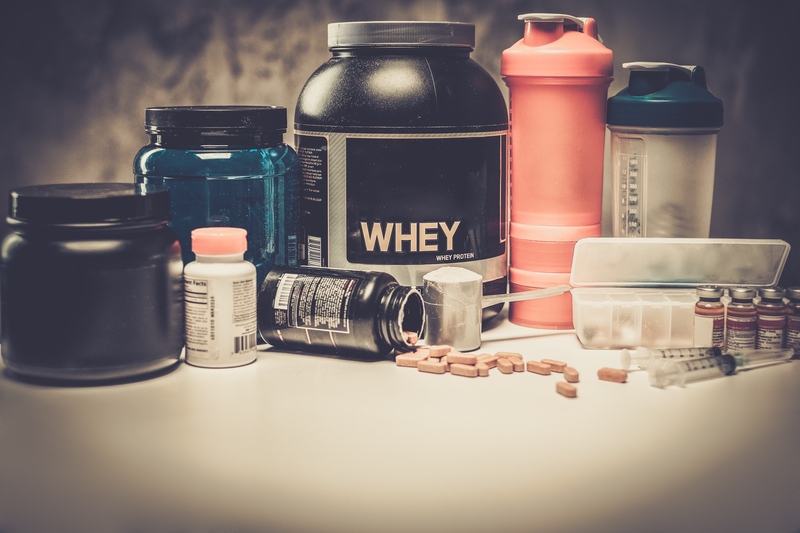 How do banned substances get in supplements? Spiking supplements with banned substances can make the product “work.” Banned substances may also contaminate a supplement during processing. As an example, let’s say a production line (bottling line) bottles pharmaceutical weight loss drugs. A dietary supplement uses the same line to bottle their products. It is important to clean the machinery thoroughly after the weight loss drug is bottled and before the supplement is bottled. You can’t be 100% sure your supplement contains no banned substances. However, you can go the extra mile by choosing a 3rd party tested supplement. Are you in the NFL, NHL or MLB? You must use supplements that are NSF Certified for Sport only. 1 FDA Guidance on Labeling. 5 NSF 306 Guide 2016. NSF International Certification Guideline for Certified for Sport Program. 6 They spike compounds into formulas and run the formulas through analytical tests to ensure their tests will pick up banned substances within a supplement or food matrix. 7 The Aegis Shield app reviews products for banned ingredients listed on the product label. The app is not an assurance of safety as products listed on the app have not been through 3rd party testing. 8 This includes drugs on the World Anti-Doping Agency (WADA) Prohibited List and other banned substance lists like the MLB, NFL, NHL, NBA, NCAA, PGA, LPGA, CrossFit, UFC and other related programs. 9 This includes drugs that are on the World Anti-Doping Agency (WADA) Prohibited List and other banned substance lists like the MLB, NFL, NHL, NBA, NCAA, PGA, LPGA, CrossFit, UFC and other related programs. Protein Before Bed for Greater Muscle Gains? A recently published study found a protein rich snack before bedtime led to greater gains in muscle mass, strength, and type II muscle fiber size in young men participating in a resistance training program. Yet a closer look at the details of this study suggest the timing (before bed) might not matter at all. In this study 44 young men were given a supplement containing 27.5 grams of casein and 15 grams of carbohydrate or a placebo that contained no protein, carbs or calories before they went to sleep each night for 12 weeks. They also lifted weights 3 times a week under the direction of a supervised and periodized program. The young men were instructed not to change their diet (other than the supplement). Food logs were taken to access dietary intake. Both groups consumed about 1.3 grams of protein per kg bodyweight before the study started. However, the group given the supplement consumed a total of 1.9 grams per kg bodyweight during the study while the placebo group continued eating the same amount of protein as they did before the study started – 1.3 grams per kg bodyweight. So, was it the timing of protein before bed, the total difference in protein intake or both that led to the results? We don’t know. However, the total protein intake of the placebo group was on the lower end of the recommended range (1.2 – 2.0 though higher values may be beneficial for some, especially those who are cutting calories) anyone should consume if they want to get stronger and bigger. We don’t know if consuming protein right before bed will help young, healthy and active adults make greater gains from their strength training program compared to consuming the same total amount of protein each day without a protein-rich bedtime snack. 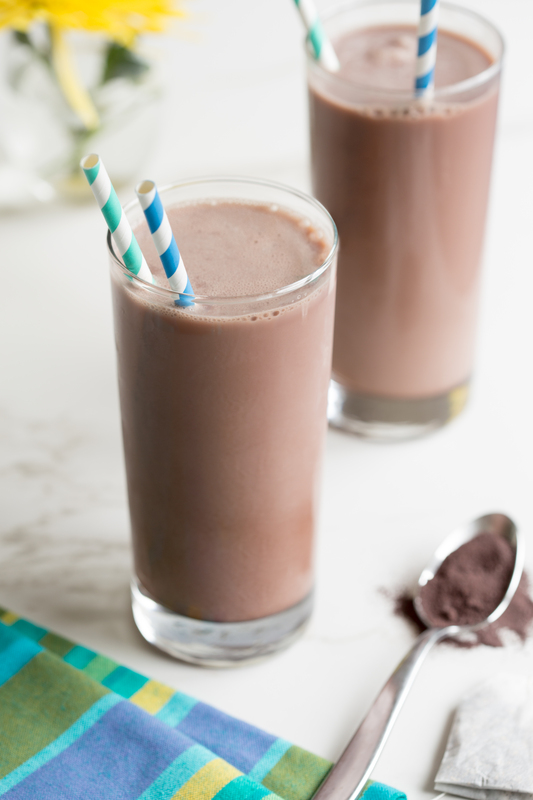 Meet your daily protein needs based on your goals first and if a pre-bedtime protein-rich snack helps you do this and sleep well at the same time, then great. If eating or drinking before bed interferes with your sleep (running to the bathroom counts as interfering) then this strategy may do more harm than good. Snijders T, Res PT,Smeets JSJ, van Vliet S, van Kranenburg J, Maase K, Kies AK, Verdijk LB, van Loon LJC. Protein Ingestion before Sleep Increases Muscle Mass and Strength Gains during Prolonged Resistance-Type Exercise Training in Healthy Young Men. J Nutr 2015. Res PT, Groen B, Pennings B, Beelen M, Wallis GA, Gijsen, AP, Senden JM, Van Loon LJ. 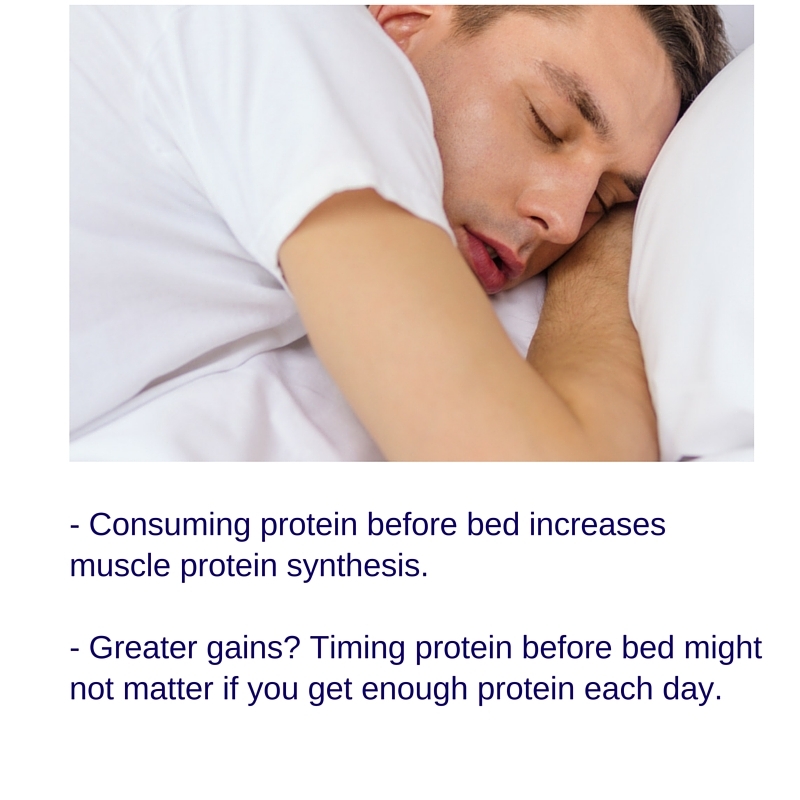 Protein ingestion before sleep improves postexercise overnight recovery. Med Sci Sports Exerc 2012;44:1560–1569. Posted on October 16, 2015 October 16, 2015 Categories protein, UncategorizedTags bathroom, bed, bedtime, casein, goals, protein, res, resistance training, rest, sleep, snijders, strategy, strength training, supplement, weightsLeave a comment on Protein Before Bed for Greater Muscle Gains? Are You Getting the Nutrients You Need for Maximum Energy & Good Health? To watch my Talk of Alabama TV segment on this topic, click here. Nuts and seeds contain a wide variety of nutrients including magnesium – which is necessary for a healthy metabolism, good energy and muscle strength – yet many people get very little magnesium in their diet. On average, most women get about ½ of the magnesium they need each day. Nuts & seeds also have zinc for immune system functioning, wound healing, muscle growth and repair and some nuts, like almonds, also contain calcium, which we need for strong bones. If you are worried about the calories in nuts and seeds, stick to the right portion size (about 1/4 cup for nuts) and keep in mind that research shows people who eat nuts regularly tend to weigh less than those who consume nuts infrequently. A few of my favorites based on nutrient content (including magnesium): pumpkin seeds, sesame seeds and Brazil nuts. Grains provide approximately 43% of the fiber in an average American diet. 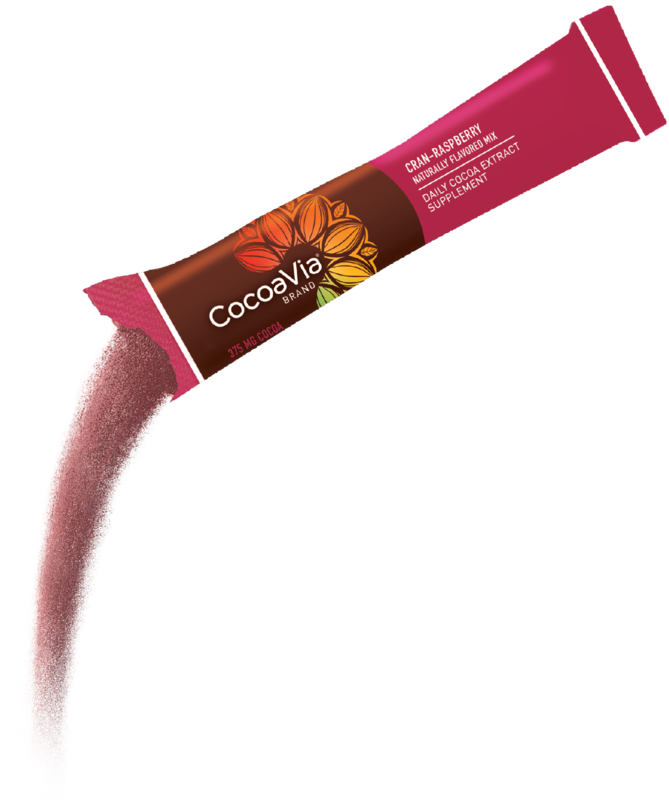 Fiber aids digestion, helping prevent constipation and it adds bulk to your diet helping increase feelings of fullness, which makes it easier to control your weight. Whole and enriched grains also naturally contain a wide variety of important vitamins and minerals. For instance, grains provide about 2/3 of the folic acid in an average American diet. Folic acid makes healthy new cells. And, it is a nutrient of concern for women of childbearing age because inadequate folate (folic acid) intake during pregnancy increases one’s risk of having premature and low birth weight babies or babies with certain types of birth defects in the brain or spine. Here in the U.S., grains such as bread, cereal, flour, and pasta are enriched with folic acid (gluten free products might not be enriched). Beans count as both a vegetable and protein-rich food. Not only are they packed with fiber but they also contain iron, magnesium and potassium. And diets higher in potassium may help lower blood pressure, especially if you consume too much sodium. Plus potassium supports muscle functioning and higher potassium diets may also decrease risk of kidney stones. Here are 3 you should focus on based on nutrient content and versatility: black beans, lima beans and white beans. Seafood is another rich source of nutrients. For instance, oysters have more zinc than any other food and more iron than red meat (a 3 oz. serving provides almost half of the daily value for iron). Try canned oysters to save time and money. Canned sardines with the bones are an excellent source of calcium and vitamin D – you need both of these for strong bones. But, chew those bones carefully! And, if you are concerned about mercury (and small children, pregnant and lactating women should consume only low mercury fish), check out this guide from the Natural Resources Defense Council, which categorizes fish based on mercury content. While eating a wide variety of nutrient-dense foods is the best way to get vitamins and minerals, the reality is that most Americans don’t get enough through food alone, especially those on lower calorie diets or adults over the age of 50. So, consider a multivitamin. Multivitamins are a great solution to fill dietary gaps. I partnered with Centrum and the Wheat Foods Council for this segment though I wrote the content of this post and the segment based on the latest scientific research. Posted on September 8, 2014 Categories Nutrition, UncategorizedTags almonds, beans, birth defects, blood pressure, brazil nuts, CDC, constipation, copper, digestion, energy, fiber, fish, folate, folic acid, food, grains, health, immune functioning, iron, kidney stones, low birth weight, magnesium, mercury, metabolism, minerals, multivitamin, muscle, MVMM, Natural Resources Defense Council, NHANES, Nutrients, nuts, oysters, premature, protein, pumpkin seeds, sardines, seeds, sesame seeds, supplement, Talk of Alabama, vegetable, vitamins, weight control, zinc1 Comment on Are You Getting the Nutrients You Need for Maximum Energy & Good Health?